The success of laboratory experiments relies heavily on the technical ability of the bench scientist, with the aid of "tricks-of-the-trade", to generate consistent and reliable data. Regrettably, however, these invaluable "tricks-of-the-trade" are frequently omitted from scientific publications. This paucity of practical information relating to the conduct of laboratory bacteriology experiments creates a gaping void in the pertinent literature. Methods in Practical Laboratory Bacteriology fills this void. It provides detailed technical information that ensures that you achieve consistent and reliable data. 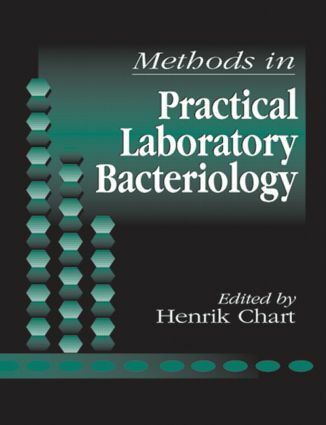 The book addresses the aspects of bacterial fractionation and membrane characterization, the analysis of Lipopolysaccharides and the techniques of SDS-PAGE, immunoblotting, and ELISA. It also describes the methods used for detecting and quantifying bacterial resistance to antibiotics, and the analysis of bacterial chromosomes by pulsed-field gel electrophoresis (PFGE). Methods in Practical Laboratory Bacteriology also covers protocols for extracting the fingerprinting plasmids, as well as the use of non-radio labeled gene probes and ribosomal RNA gene probes.